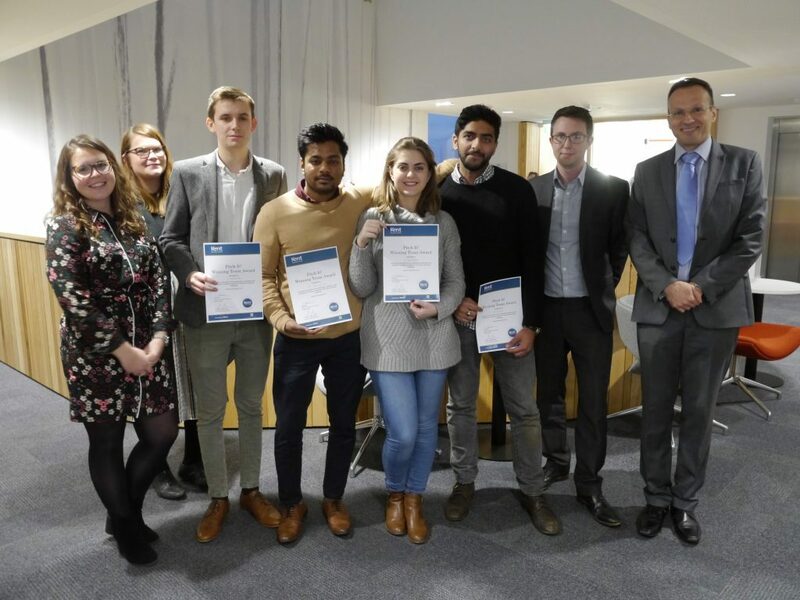 On Wednesday 6 December 2017, representatives of the English Heritage sites from Dover Castle, Walmer Castle and Battle Abbey, visited Kent Business School to judge which student team had pitched the winning solution to their business challenge. The Pitch It! challenge benefits all those taking part; students get to apply their analytical, creative and presentation skills to a real-life scenario, and the business receives new ideas and approaches to consider back at the work place. English Heritage (EH) has a very successful education programme with children in primary and secondary schools, both in the UK and abroad. It offers free self-led visits to schools across all its sites as well as hands-on, expert-led discovery visits at selected places, integrating the school curriculum into the sessions. Hundreds of thousands of pupils visit various EH historic houses, castles and battlefields each year. The marketing and education team of the EH Dover, Walmer and Battle Abbey sites had asked students on the Stage 3 Marketing Communications module to ‘provide practical and creative ideas to ensure English Heritage properties are seen as attractive places for schools to visit, as an easy-to-access resource that enhances the learning experience, and as a key partner in enhancing the school curriculum’. Four finalist teams pitched their solutions – ranging from an overhaul of the education webpage to interactive workshops and taster sessions at the schools – to the English Heritage team and Dr Petrovici, Senior Lecturer in . English Heritage Marketing Manager Nik Barrie was impressed with the presentations and praised the teams on the time and thought they had all put in over the past weeks. The winning team received a day pass to Dover Castle, honey wine and the chance to shadow the English Heritage marketing team for a week in February 2018. ‘The Pitch It! challenge, which required creative problem solving, was a great opportunity to work on a live business case study. The chance to present our work to an organisation like English Heritage was awesome’. Jake, from the winning team. In the past, Kent Business School (KBS) has undertaken Pitch It! challenges with numerous local and national companies such as SONY UK, Chapel Down, M&S, Santander, SAGA and Shepherd Neame.